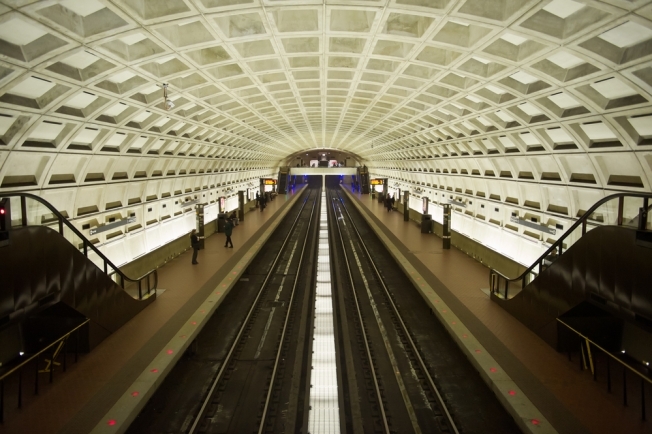 This weekend's Metro track work will affect the Red, Orange, Blue and Green lines. On the Red Line, buses will replace trains between Silver Spring and NoMa-Gallaudet U stations. Red Line trains will operate in two segments throughout the weekend: between Glenmont and Silver Spring, and between NoMa-Gallaudet U and Shady Grove. On the Orange Line, trains will single-track between Stadium-Armory and Cheverly. Trains will run every 20 minutes throughout the weekend. On the Blue Line, trains will single-track between Stadium-Armory and Addison Road. Trains will run every 20 minutes throughout the weekend. On the Green Line, trains will single-track between College Park and Greenbelt. Trains will operate at normal weekend intervals, but every other train will begin/end service at College Park, rather than Greenbelt.